Happy New Year to all, and thanks for continuing to visit Excavated Shellac. Let’s literally ring in the New Year with a personal field recording from Switzerland, dating probably from the 1940s or so. It features the bells of the Benedictine abbey at Einsiedeln, Switzerland. While the monastery has been rebuilt many times throughout centuries of existence, the present structure was built in the early 1700s. This record is an acetate, and a moldy one at that…but most likely one of a kind, and made by someone who appears to have been an intrepid hobbyist that recorded numerous other church bells across Switzerland. 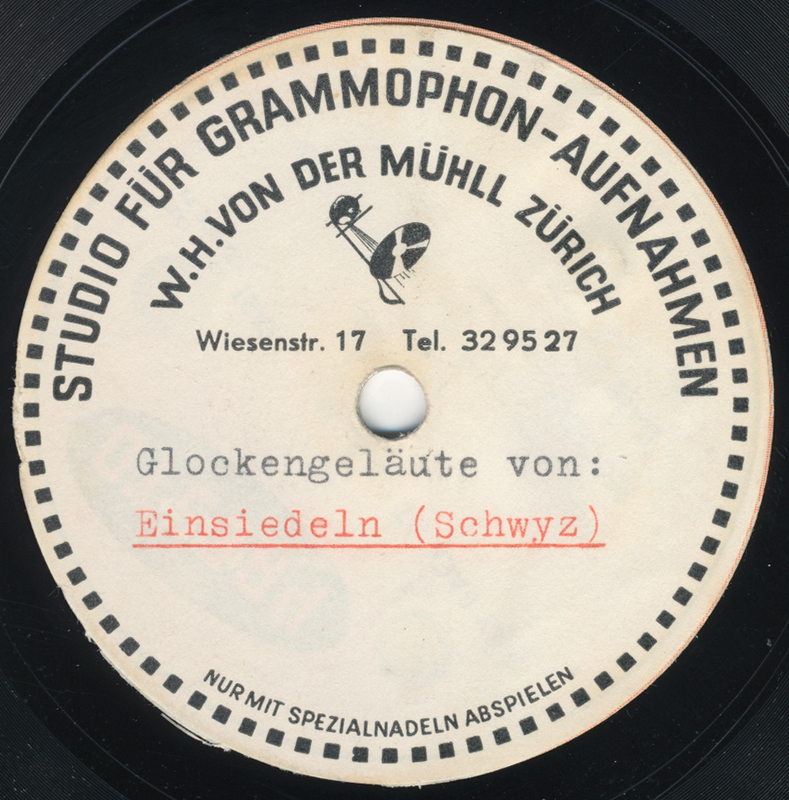 W. H. von der Mühll’s studio in Zurich, which pressed this disc, appears to have been active from the 1930s to the 1960s. Here’s to 2011! And another post will be coming soon! Happy New Year to you too! I’m sure we all look forward to great new posts in 2011! All best wishes. Thank you, Moses! That’s a really great story!